Black pepper powder for garnishing. Put all the ingredients in a pressure cooker and take 2 whistles. Once cooled blend everything in a blender except the bay leaves. 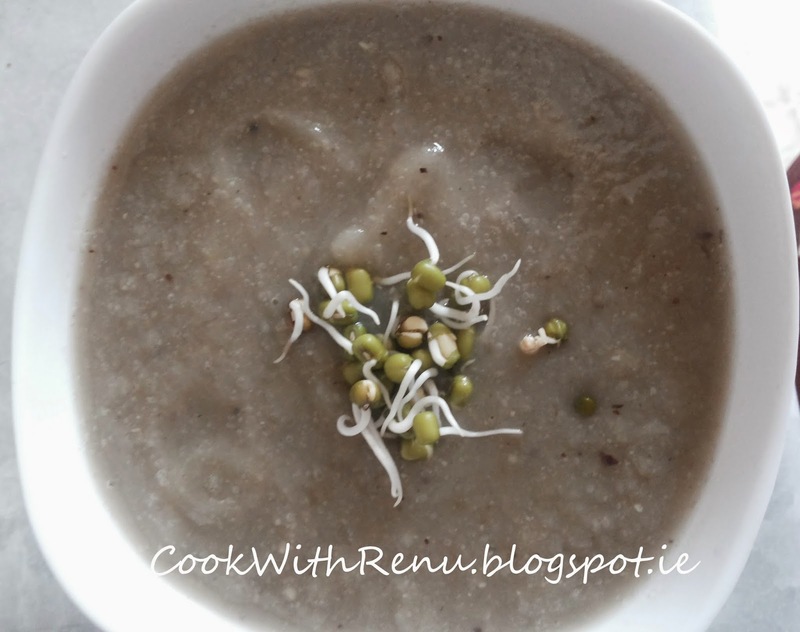 In a pan, add the puree along with the mung sprouts and just let it boil for some 10 minutes. Hot and yummy soup is ready. Garnish it with mung sprouts.